Public Provident Fund (PPF) is among the best retirement investment schemes available, offering tax-free benefits as well as a steady interest income. It is an ideal risk-free option with an initial lock-in period of 15 years where you can deposit up to Rs 1.5 lakh a year and earn an interest rate of 8% at present. The interest keeps compounding annually and credited at the end of every financial year. The scheme also enjoys EEE tax benefit - the principal invested in PPF enjoys a tax deduction under Section 80C and the interest earned as well as the money withdrawn at maturity are tax-free. You can open a PPF account for just Rs 100 in any of the nationalised banks. Some of the leading private banks, including ICICI Bank and HDFC Bank, also offer this facility. Alternatively, you can open an account through post offices. The process is very simple, similar to a bank account. You just need to furnish identity proof and proof of address along with a photograph. The list of valid documents includes voter's ID, passport, driving license, Aadhaar Card. You will also need to submit a form naming your nominees. Thereafter, you have to mandatorily deposit a minimum of Rs 500 every year to keep your PPF account active. What happens to a dormant account? In case of any missed deposits in a fiscal, the account will be deactivated. You will have to submit a written application to revive the account and shell out Rs 50 as a penalty - for every year of default - along with a minimum deposit of Rs 500. While an account is dormant, although it will continue to accrue interest on the existing balance annually, the account-holder won't be able to close the account till the maturity date or even make any permitted partial withdrawals in the interim period. When is the best time to deposit money in the PPF account? Experts say that it's a great idea to deposit your PPF instalments before or on the 5th of the month. PPF currently offers an interest of 8% on the minimum balance in your account between the fifth day of the month and the last day of the month. Let's say you have Rs 12,000 in your PPF account at the beginning of the month and you deposit another Rs 7,000 on the 7th day of the month. In this case, you will enjoy interest on Rs 12,000 and not the higher balance. So, invest in PPF on or before the 5th of the month, to enjoy maximum interest on your investment. If you deposit the instalments after the 5th of the month, you will lose out on a lot of interest income for that particular month. Back of the envelope calculations show that a person investing the maximum permitted amount of Rs 1.5 lakh in PPF annually before the 5th of each month stands to gain about 2.5 times the monthly investment of a person who always invests later than this date. When can I make partial withdrawals? Although the PPF scheme comes with a 15-year lock-in, account-holders can make partial withdrawals after seven years of opening an account. "The amount that can be withdrawn is capped at 50% of the balance in the account at the end of the fourth year immediately preceding the year of withdrawal or the amount at the end of the preceding year, whichever is lower," according to SBI. This amount will be tax-free, too. In addition, you can avail a loan against your PPF contribution, so long as your account is active, from the third financial year (after account opening) up to the end of fifth year. The loan amount is reportedly limited to 25% of the balance in your account and the interest rate charged on the loan is just 2% higher than the prevailing interest rate on the scheme, currently 8%. What is the maturity date of the PPF account? It is important to note that you won't get your hands on your PPF corpus exactly 15 years from the date of opening the account. The maturity date is calculated on the basis of the end of the financial year in which you first make a deposit in your account. 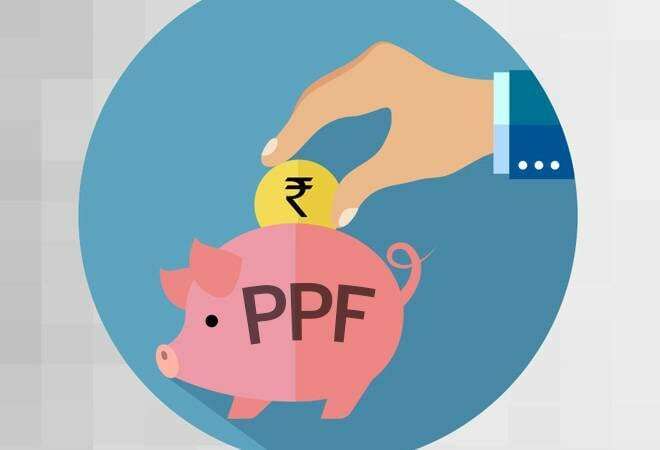 Suppose you make your first PPF contribution on April 13, 2019, the fiscal ends on March 31, 2020, and hence, the date of maturity will be April 1, 2035. Can the PPF account be terminated prematurely? As per the PPF (Amendment) Scheme, 2016, premature payment is allowed only after your account - or the account that you have opened on behalf of a minor - has completed five financial years, subject to certain conditions. For instance, where the PPF corpus is required for medical treatment of a serious or life-threatening ailment afflicting the accountholder or his/her spouse, dependent children or parents. Premature account closure is also permitted where the amount is required to fund the account-holder's higher education. What happens when your PPF account matures? At the end of the maturity period, you will have to decide where to deploy your PPF corpus. Given the cap of Rs 1.5 lakh in this option, a fresh PPF account is obviously ruled out. But one option can be to extend your account in pre-defined blocks of five years post maturity, where you continue making fresh deposits in your account exactly as you had over the previous 15 years. All you need to do is to intimate the Account Office in writing by filing up the Form H. If one keeps depositing additional money without furnishing this Form, all new deposits will be treated as irregular and no interest will be paid on them. The Section 80C tax breaks will also cease to apply. Significantly, experts say that you have the option of extending your PPF account without making any further contributions and you will continue earning tax-free interest from the same. Furthermore, the extended PPF option is much more liquid - you can make one withdrawal in each fiscal. However, if you opt to continue investing in your account during the extension period, only one partial withdrawal - capped at 60% of your account balance at the start of the extended period - will be allowed by applying through Form C during each five-year block. Extending the PPF tenure guarantees great returns. If you invest Rs 1 lakh every year at the current 8 per cent interest rate, you will build a corpus of nearly Rs 30 lakh at the end of the 15-year lock-in period. But if you continue investing Rs 1 lakh annually for five more years at the same interest rate, your earnings from interest in the 16th year will around Rs 2.34 lakh, and will continue to multiply. At the end of the five year period you stand to add over Rs 20 lakh to your PPF kitty.